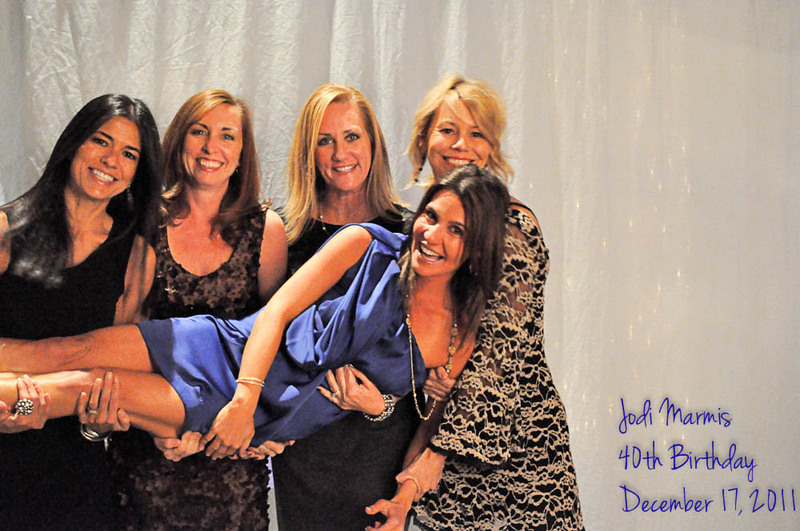 Deidre’s mother Patty, contacted Digital Expressions Open Photo Booths because she knew that our photo booth would be the perfect fit for her daughter’s birthday party, instead of a photo booth rental. Deidre is the manager of the high school football team and a number of kids from the football team helped her celebrate her birthday. 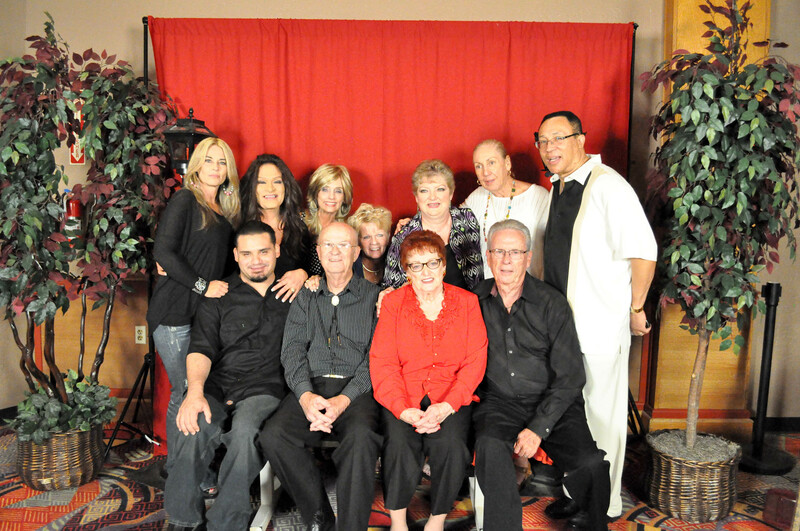 Patty had us set up the photo station in the front room and chose a coral-colored backdrop for Deidre’s party. Look at this picture. There is no way that all of these people could have fit into a photo booth rental. All we had to do was widen the camera area. When the group is smaller, when we make the camera area smaller. Our daughter, Shannon, helped us with this job because a bride had also booked our photo station for her wedding reception at 6:00 p.m. that same night. Kellie McKenzie contacted Digital Expressions Photo Stations because she wanted something unique and different for her husband, Richard’s, surprise 50th birthday party. I remember when she contacted us through our website, she asked if we traveled to Needles. I had heard of Needles, California but I didn’t know where it was. 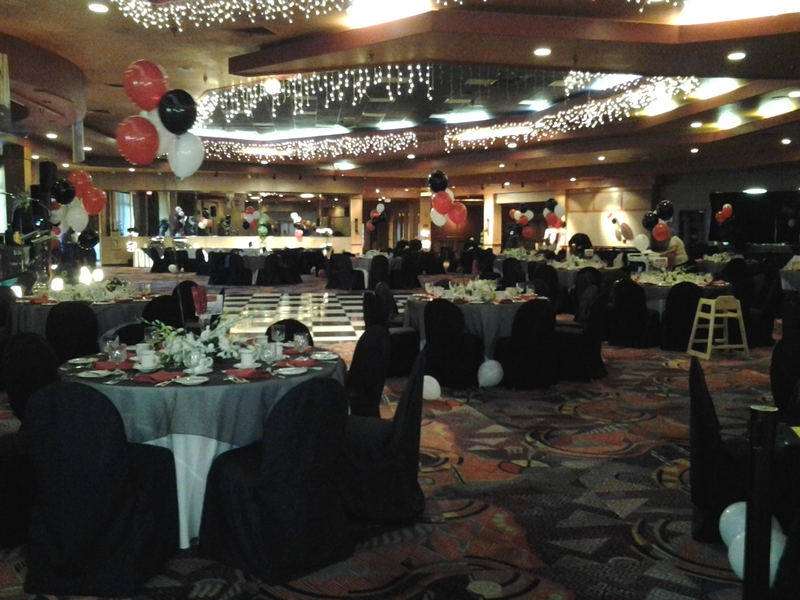 We negotiated a deal and drove to the Avi Resort and Casino in Laughlin on September 22nd. Every single person at this party had a great time, as evidenced by the pictures. In addition to our photo station, Kellie also hired a DJ. Richard came in and we initiated him into the photo station by taking this picture. We offer free online access to all pictures taken so anyone who wanted to see all of the pictures provided us with their email address. Richard and Kellie have a great group of friends and family and we are especially pleased that Kellie chose Digital Expressions Photo Stations to celebrate Richard’s birthday party. 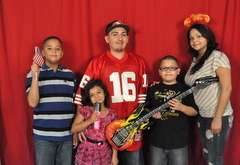 Jose’s mother, Kristine, contacted Digital Expressions to have a photo station at Jose’s 12th birthday party. 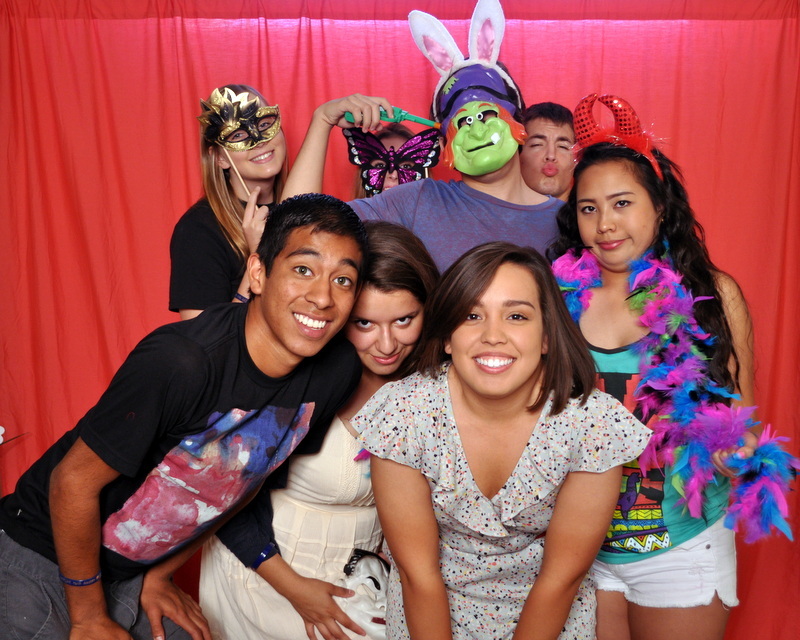 Kristine told me that she always does something big for Jose’s birthdays and this year, she wanted our photo station. As you can see, it was a huge hit. Red is Jose’s favorite color so Kristine chose a red backdrop for the photo station. Jose is wearing the striped shirt, his mother is on the right side and his stepdad is in the middle. Of course, there were a lot of kids there and they had a lot of fun. It was three hours of constant picture-taking. 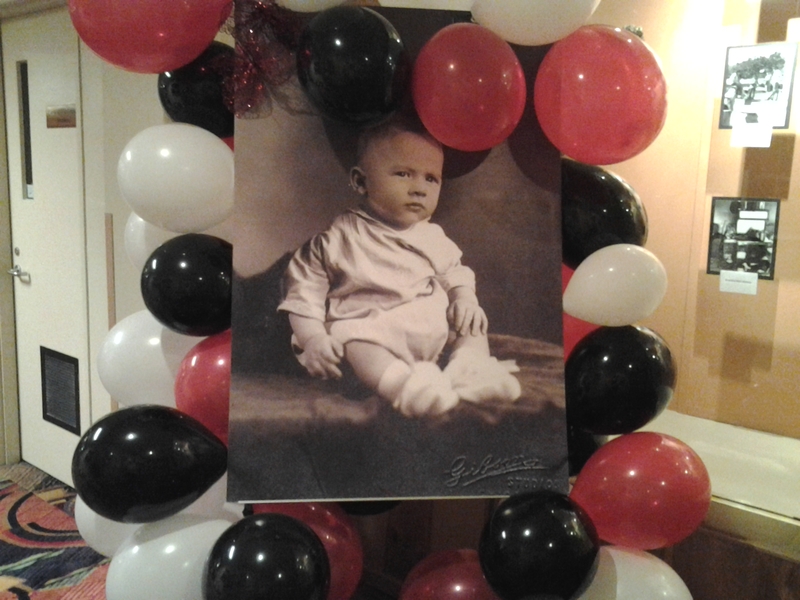 Our photo stations are a big hit with kids and they love our props. For Jose’s birthday party, we had props that children would have fun with. We provided Jose with a photo journal album that held 180 pictures. Jose was right on top of making sure the photo album was filled up. Our daughter, Shannon, helped with the photo station. This was her first time and she had a great time. Digital Expressions Photo Stations was hired by Gail and Dwight Law to help celebrate Bob Hafer’s surprise 80th birthday party that was held at Mazatzal Hotel & Casino in Payson. We went to Payson about a few weeks prior to the event and met with Sue Dolan, the event coordinator at Mazatzal Hotel & Casino. She spent a lot of time with us, showing us the area where we would be set up, as well as educating us about the history of the Tonto Apache Indian Tribe in Payson. (For more information on the Tonto Apache Indian Tribe, visit http://itcaonline.com/?page_id=1183.) We had so much fun at Bob’s birthday party and his friends and family were extremely nice. Here is a picture of how the room looked. Gail and Dwight hired Digital Expressions Photo Stations because they knew most of the guests at Bob’s birthday party would be elderly. Our photo station made it wasy for all of the guests to get in and out of the photo area with ease. In addition, Sue and Gail added a few props to the photo station area that I just loved. Since the majority of the guests were elderly and some had canes, having the bench in the photo station allowed the elderly guests to get in and out of the photo area easily. A traditional photo booth would not have worked because they would not have wanted to try and maneuver in and out of a booth with walls. The birthday party was also a little family reunion, as a lot of the family members were able to reconnect with each other. This was a birthday party for Nikki Ojen at her home. 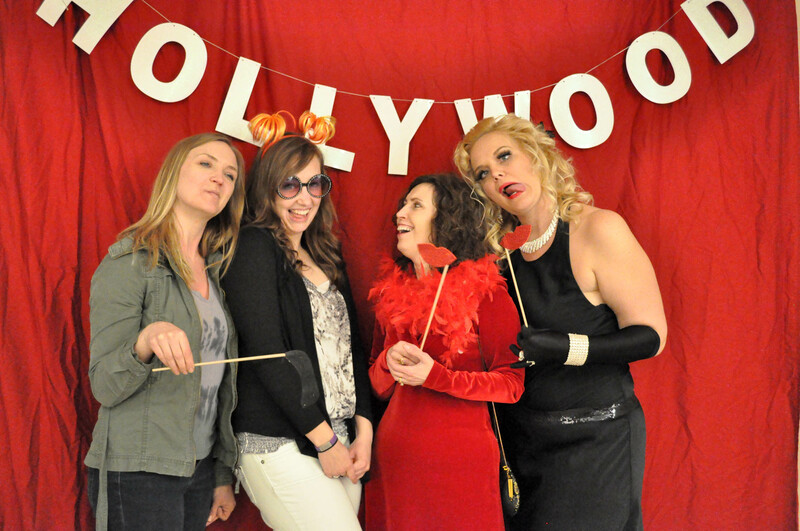 The theme of the party was A Night In Hollywood. It was pretty cool. She had red carpet and oscar statutes. She also had placed stars on her tile, simulating the Hollywood walk of fame. Nikki had us set up in an area outside of the kitchen, but on the way to the backyard where the guests would see us. The Hollywood garland Nikki provided added a nice touch to the pictures. Jodi’s husband, Mike, hired us for Jodi’s 40th birthday party at DC Ranch. We were originally going to set up in one area on the outside of the clubhouse, but because of the threat of rain, the club placed us in a different area, which worked out perfectly. We were very near the bar (which is an ideal place to be), so there was a steady stream of people. I had told my husband that all of the women should approach Bravo TV to start a segment of Real Housewives of DC Ranch because every single woman at this party was gorgeous. The view from DC Ranch of the sunset was amazing, and I should have taken a picture, but I didn’t. Perhaps the next time — hopefully. We used this picture for our weddingwire.com commercial. 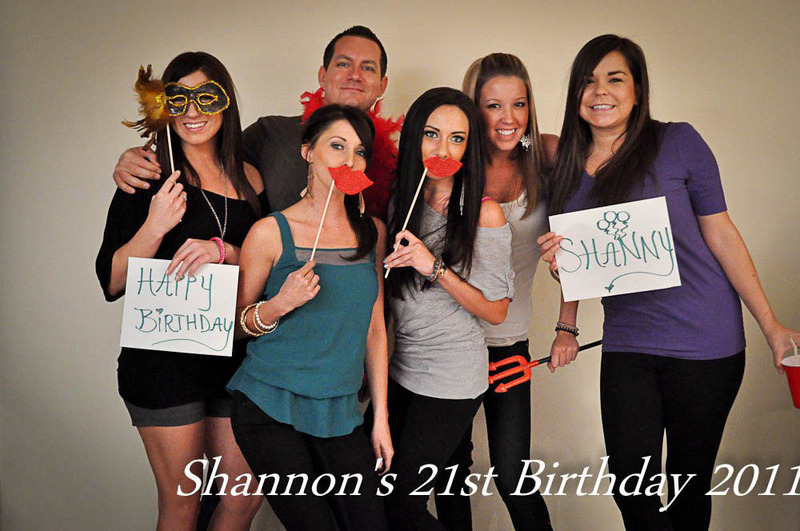 Shannon is my youngest daughter and for her 21st birthday, I thought it would be fun to set up our photo station with her closest friends and family so she could have a fun memory for this milestone birthday. We had food and fun and then I sent them on their way on a party bus. Of course, I wasn’t invited onto the party bus because I’m mom and I don’t really consume alcohol. But, it was fun to watch Shannon and her friends and family having fun. 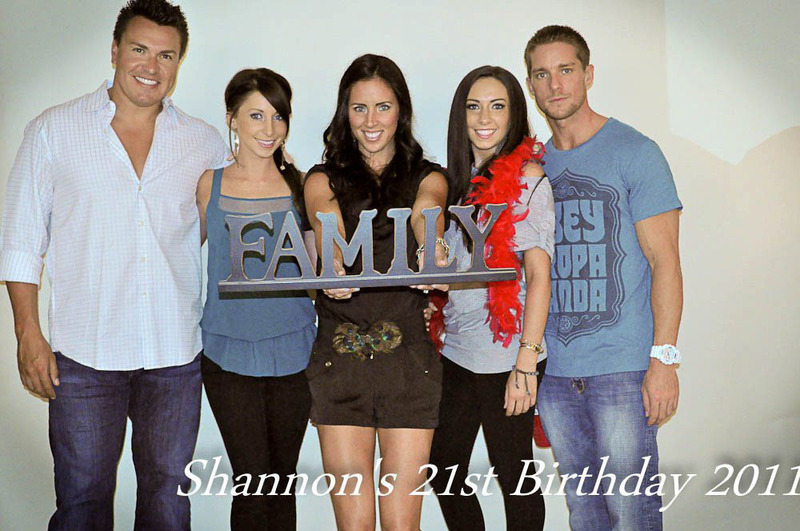 Shannon with her brothers and sisters.